The actress tried to pull off a pantsuit for the recent Ittefaq press conference and failed miserably. This blue attire by Galia Lahav will literally give you the blues. There are a lot of things wrong with this attire. Right from the material of the dress to the extra long sleeves and pants – everything is a complete put off. The double layer sleeves, too, aren’t complimenting her body type. To make things worse she added on a fat leather belt which is something that needs to be trashed ASAP! Sid tries his hand at the floral look and it will make you wish he hadn’t. The actor gets the concept of floral shirts all wrong. 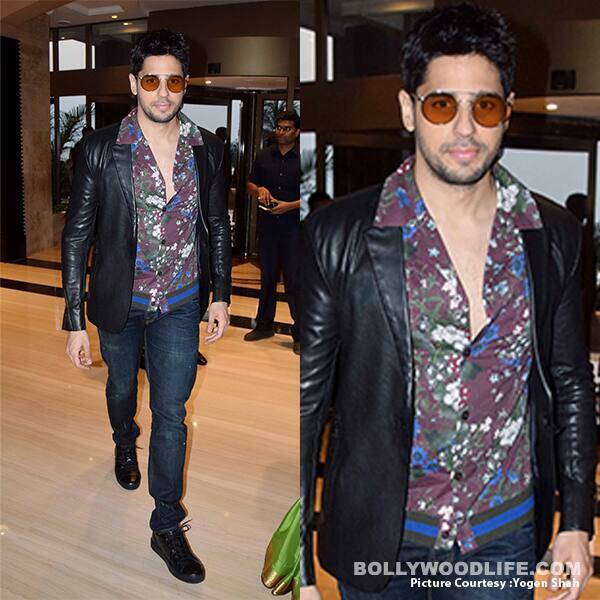 While one is generally seen opting for a bright shade when they choose floral, Sid was seen wearing a maroon shirt by H&M with blue flowers over it which did not work for us. To make things worse, he paired the look with a shiny leather blazer by Asa Kazingmei, making us cringe. The filmmaker was recently seen attending the Vogue BFFs show where he was accompanied by Shweta Bachchan and Neha Dhupia. 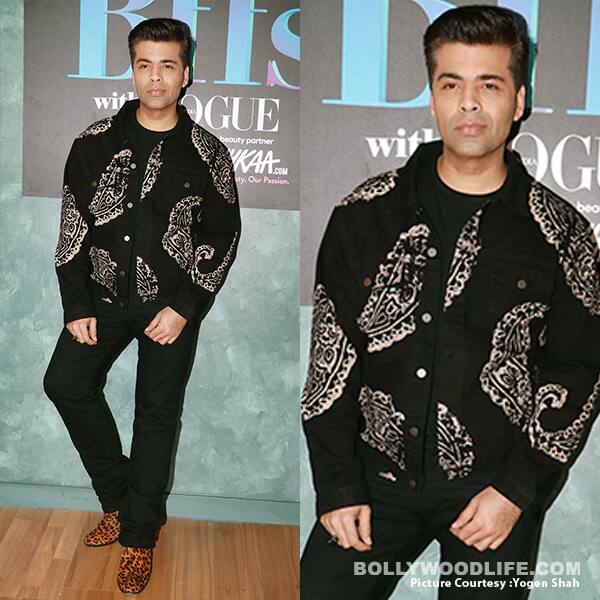 KJo, who is usually a fashion police favourite, disappoints us with his latest outing. The black attire with giant golden boutique over it, fails to work for us. The worst part about the attire was the hideous animal print shoes. The actress, who is known for her simple-yet-chic attire shifted away from the basics this time and her picture will make you wish she hadn’t. The sheer blue attire with huge floral print all over is literally very harsh on the eyes. The Jia Aur Jia actress was busy with her film promotions lately. During a promotional event, Kalki was seen wearing a red velvet coat dress which will make you want to look away ASAP. This attire by Dior is the worst one on the list. Don’t you agree?